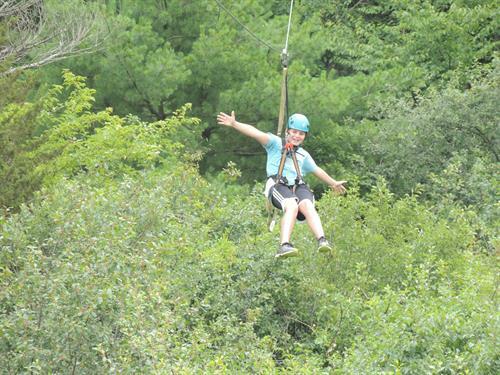 Take Flight Adventures hosts Maine’s largest Aerial Adventure Course, two Adventure Zip Line Tours and Team Building Programs. 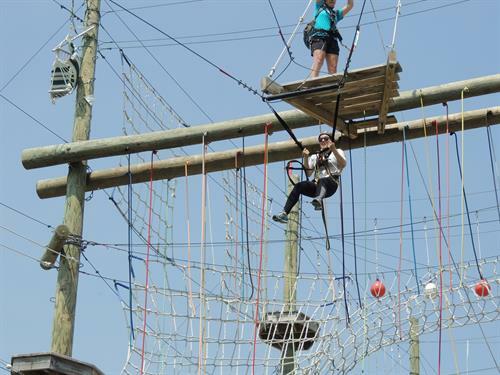 Great for all ages and abilities, Take Flight promises to challenge you and give you an adrenaline rush like no other. Take Flight is a great opportunity for individuals, groups or families to experience a thrill. 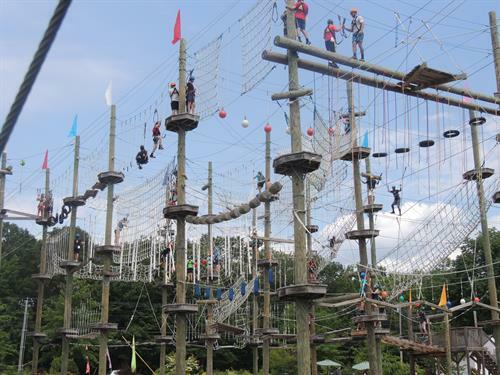 Our Aerial Adventure Course allows guests to travel in groups of two or three throughout our entire course. There are no set routes of paths! You can truly create your own adventure every time you visit. 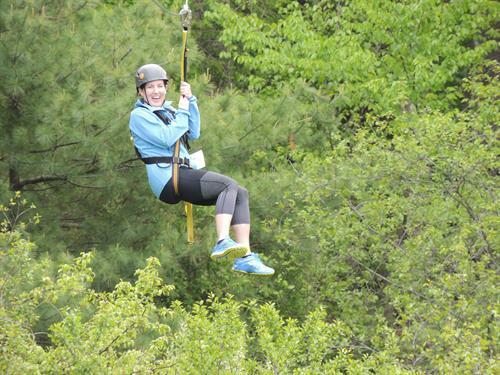 The Adventure Zip Line Tours are each lead by two Flight Crew who provide guidance, expertise and entertainment throughout your six zip line tour. Cutting edge technology and expertly trained staff support this adventure you won’t soon forget. Team Building Programs are customized for each group- no matter the size. 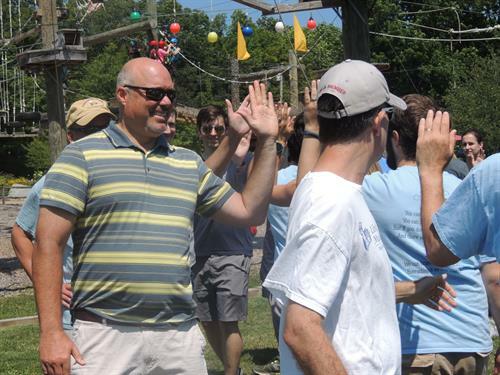 Great for sports teams, businesses, camp counselors, and more, our Team Building Programs are facilitated by our professional staff members who want to help your group or team grow and develop together. 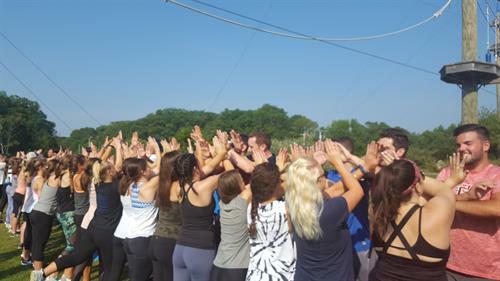 We include low ropes course elements, games, and initiatives that build upon each other to reach your goals, making your team or group even stronger. Team Building topics include leadership development, communication, trust, problem solving and many more. Let us know what you'd like your group to work on and we will design the program around those topics!